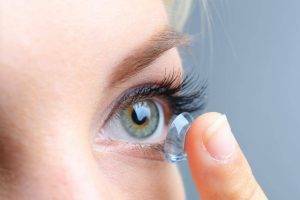 We feature the latest in contact lens technology. At Focus Eyecare Center, our program includes a custom fitting, demonstration lenses, a “starter kit” of solution, instructions of insertion and removal of contact lenses and medical management during the fitting process. We specialize in contact lenses for dry eyes, those with allergies, and patients who are athletes. Focus Eyecare Center can fill all of your contact lens needs.